'Star Wars: Episode VII' producers are working on a "great story" for the movie. 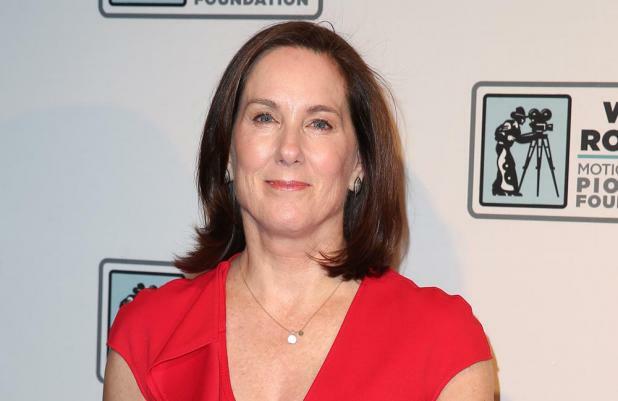 Lucasfilm president Kathleen Kennedy has revealed she is hard at work with director J.J. Abrams and the writing team on the eagerly anticipated movie to make sure they nail a plot line which will captivate the audience and have made this their main focus. Speaking at the Star Wars Celebration Europe convention, she said: "The story and characters are all we're talking about right now. We have an amazing team at ILM, who can create fantastic effects, but if we don't have a great story and characters, the effects mean nothing. "And if you don't spend the time you need on developing characters and finding stories, complicated stories, the audience gets tired because they think they're seeing the same thing again and again." Although they plan to keep the forthcoming film fresh, Kennedy has been seeking inspiration from past 'Star Wars' films when it comes to using special effects. She added: "Looking at all the 'Star Wars' movies and getting a feel for what even some of the early films did -combining real locations and special effects - that's something we're looking very seriously at." Meanwhile, it was recently confirmed that John Williams - the legendary composer who scored the first six films in the sci-fi saga - is returning to work on the new film. 'Star Wars: Episode VII' is due for release in 2015.